Series 47K, are designed to detect potentially hazardous concentrations of flammable gas and vapour in air. A cost effective range of sensors for detecting up to 100% LEL including a Poison Resistant, Standard and High Temperature versions. 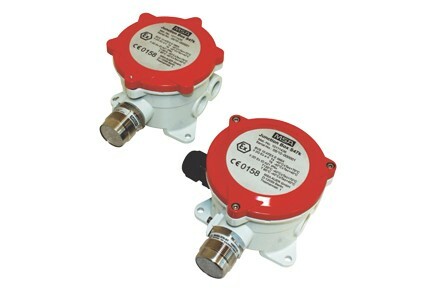 Series 47K sensors are available with either Ex d – 3/4_ NPT or Ex e – M25 junction boxes. A complete range of accessories for calibration, environmental protection, sampling and duct mounting makes it suitable for virtually all applications in combustible gas detection. Series 47K sensors used in combination with MSA Controllers fully meet the requirements of ATEX Directive 94/9/EC, including performance, and being SIL 2 capable they can be used as part of a safety related system.